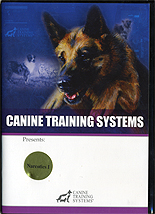 Narcotics 1 describes everything a prospective handler or canine supervisor needs to know about the initial steps of organizing a narcotics-detector dog program including: testing and selecting prospective detector dogs, correctly handling narcotics used in training, motivating the dog to search, teaching a strong alert and the first major transition in training. Charles Kirchner retired in 1980 after 20 years as an officer, dog handler, senior trainer, and canine instructor for the Metro Police Department in Washington D.C. During that time, he trained the first explosive-detector dog in the world. Since 1980 he has remained very active in the field of service-dog training, teaching countless seminars and continuing to train narcotics dogs for a number of police departments.